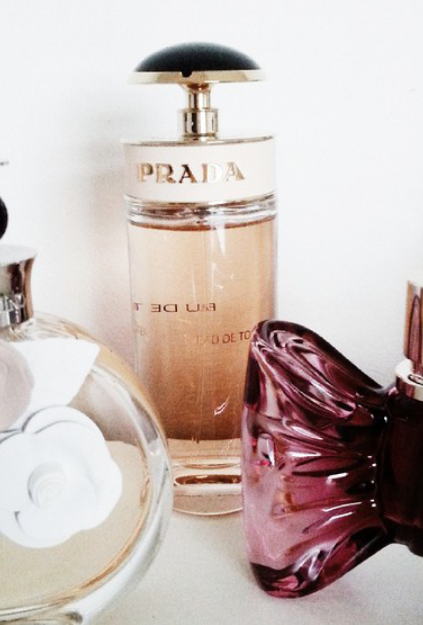 Prada Candy is a White Floral fragrance with notes of sweet pea and citruses. I haven't stopped wearing it. It's got a lovely creamy scent and I love all things sickly sweet so this is perfect. It has a great lasting power and I can still smell it hours after wearing it. I've had lots of compliments when wearing this scent too which is always nice. The bottle is simply stunning. A powder pink shade with a black lid and gold lining and font. It's gorgeous - perfect for any girl's dressing table. If you're in the market for a new perfume and are also a lover of creamy sweet scents, I highly recommend this one! Go go go! Prada Candy is always a fun scent :) A great "go to" fragrance.